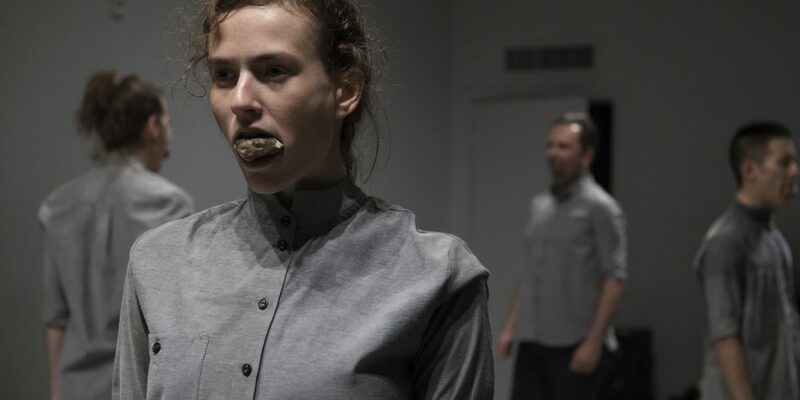 Outset Israel supported Noa Zuk and Ohad Fishof in the creation of their new dance work: “The Burnt Room”. This work was part “Conditions of Political choreography”, a collaborative project by the Center for Contemporary Art, Tel Aviv and Neuer Berliner Kunstverein (n.b.k. ), Berlin, curated by: Marius Babias, Sergio Edelsztein, Sophie Goltz and Chen Tamir. Conditions of Political Choreography is a research project and exhibition initiated by the Center for Contemporary Art (CCA) together with the Neuer Berliner Kunstverein (n.b.k.). It is aimed at commissioning new works by artists working with diverse performative strategies ranging from visual art to dance, theater, video, and stage-based and participatory practices. The majority of the works are presented consecutively, three days a week, as a “linear group show” within a space that is neither a black box nor a white cube, but a spatial intervention. Berlin-based architect and exhibition designer Markus Miessen integrated the two floors of the CCA by building a quarter-pipe stage. In the summer of 2017 Conditions of Political Choreography will take place at the n.b.k. in Berlin within a spatial intervention created by New York based artist Ohad Meromi.